Say goodbye to dropped calls and slow buffering. Whether you're streaming movies, checking email or making a call, Home 3G from weBoost gives you a stronger signal where you need it. Stop walking from room to roomor even outside to find a stronger, more reliable signal. 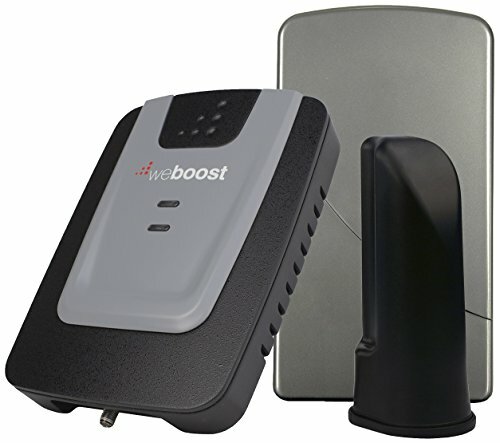 The weBoost Home 3G is designed to significantly improve your coverage in one to two rooms in your home so you no longer have to worry about dead spots. It works especially well in modern, energy-efficient buildings known to contain materials that weaken cell signals. Best of all, 3G Home will not only boost your signal on your own cellular connected devices including tablets and laptop sit will also work for everyone else you invite into your home. PERFECT FOR 1 - 2 ROOMS OR SMALL OFFICES: Say goodbye to dropped calls in your home. BOOSTS CELL SIGNALS UP TO 32X: Enhances 3G and voice signals for buildings up to 1,500 sq ft.